When US Military purchases ammunition for our troops, some of the most rigorous field testing in the world is conducted in order to to ensure performance, regardless of the conditions. The Black Hills 69gr 5.56 Open Tip Match now brings those same qualities to the civilian sector, and the results have been nothing short of extraordinary. 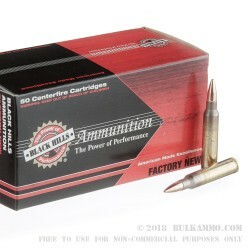 One of the most groundbreaking engineering marvels of the 21st century revolves around Black Hills ammunition. 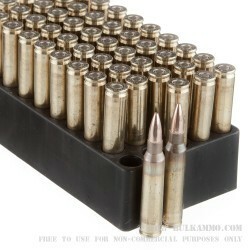 The Black Hills 69gr 5.56 Open Tip Match round has near perfect weight distribution across the length of the bullet. This creates a round that is unparalleled in accuracy and stability in flight, and is inherently resistant to tumbling even after breaking beneath the super sonic envelope during extended ranges. 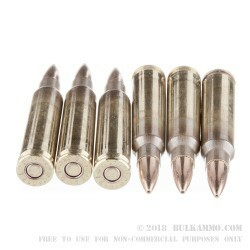 The open tip on the face of the round creates a highly streamlined and aerodynamic bullet profile, and is capable of sub-moa accuracy well out to 500 yards and beyond. 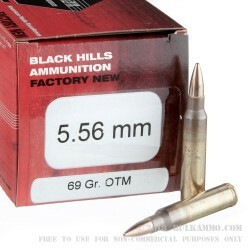 At velocity of 2,850 feet per second, the Black Hills 69gr 5.56 OTM is nearly capable of triple sonic flight, andd is one of the fastest rounds in its class. When it comes to dependability and performance, there is truly no higher standard than the Black Hills 69gr 5.56 OTM.